EAW017963 ENGLAND (1948). 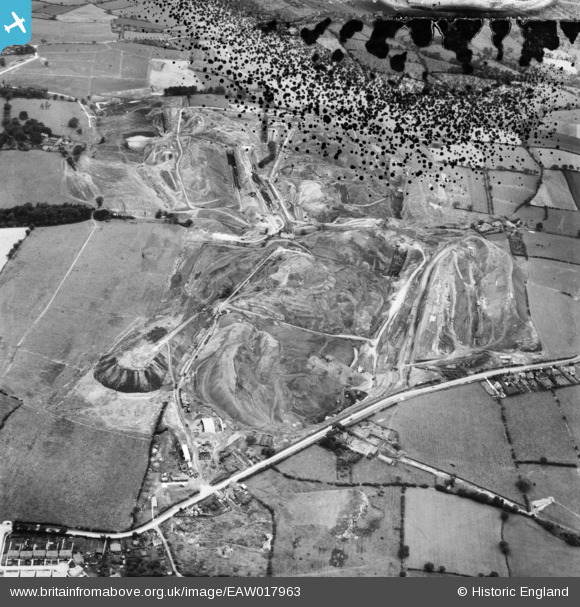 Opencast coal mining to the north of Carrington's Farm, Smalley, 1948. This image has been produced from a damaged negative. Pennawd [EAW017963] Opencast coal mining to the north of Carrington's Farm, Smalley, 1948. This image has been produced from a damaged negative.